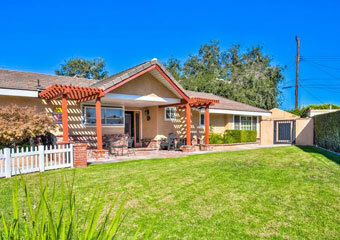 Featured: Vacation Rental in Huntington Beach, California! Pet Friendly VRBO by Owner Vacation Rental! Spacious Luxury Home - Walk to Disney! Homeaway 298836 -3BR /2 1/2 BA, sleeps 12; Ave. nightly $350 Bookit! 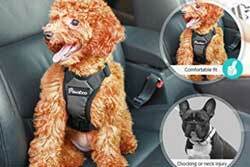 Wheelchair accessible AND petfriendly! - Executive California vacation living at its best. 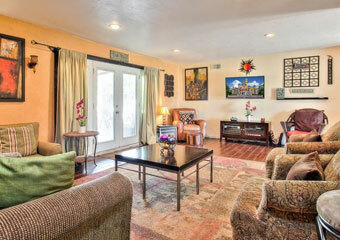 Completely remodeled home ready for a fantastic California vacation experience. Literally three blocks from Disneyland & Anaheim Convention Center. Our fully equipped home offers you all of the amenities of your own home. 2200+ square foot home on a 12,000 Square foot lot. This is the “perfect,” family/multi-family vacation home. 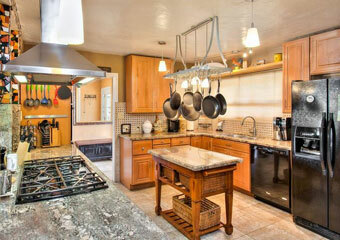 Beautiful fully-equipped upgraded kitchen with an open floor plan that flows into a large living room and dining room. Four Bedrooms, 2.5 baths (one with Jacuzzi Tub). Master bedroom has its own bathroom. Wi-Fi/hardwired internet available. Full service gym. Extra large tropical back yard that includes a full covered outside kitchen combination with sink, refrigerator, and over sized propane BBQ. 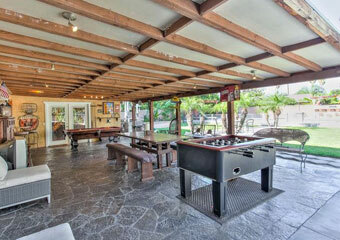 two firepits, a 600 sq.foot slate covered patio/game area that includes a pool table & Foosball. 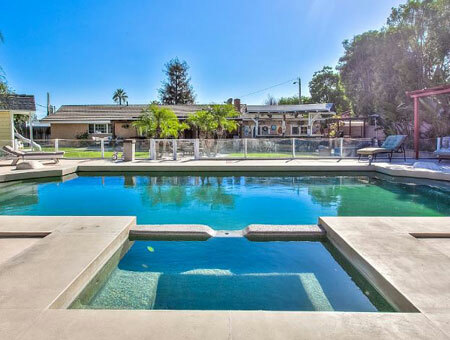 Large pool area includes a security fence, heated pebblestone pool/jacuzzi combination. Child's Play Areas: Backyard features a life-size playhouse with a porch. Amenities include play kitchen, table, chairs, toys, books, bikes and electric Barbie car. Also includes a full swing set (4 different types) with slide combination and small basketball hoop. Large fenced-in grass area in the front and two large grass areas in the back. Property is located at the end of a cul-de-sac with privacy fencing and minimal traffic. Gym: Garage has been converted into a complete gym featuring a treadmill, Vision Fitness elliptical machine, recumbent bike, Keyes Fitness multiple gym with leg area and attachments, yoga mats, exercise mats, weight bench, free weights (300 lbs), dumbbells up to 45 lbs., jump ropes, stereo system, television, CD player and numerous workout videos. A full body workout is the goal and it can be accomplished in this very functional, well stocked home gym area. Jogging readily available in a very safe neighborhood or around the Disney/Convention Center areas. Top your workout off with a swim in our private sport pool which is four foot level suitable for lap swimming. Finish in the heated Jacuzzi Spa and lay out in the sun in the sun decks. A true California fitness/spa experience. Reading Area: Front of property has a large covered porch with tables and chairs for morning coffee or reading. Side entrance to the property features a private, shaded reading area for those looking to relax with a good book. Homeaway Review: "This house was amazing! We found everything we needed without difficulty. The kids spent hours in the pool and backyard. The neighbors are friendly. We would definitely love to stay here again!"